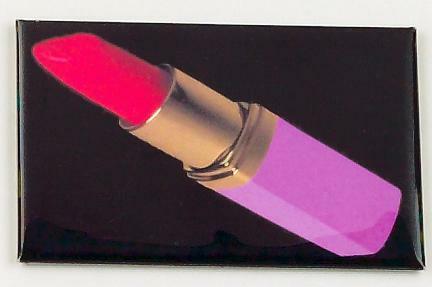 Mirror with red lipstick on black background. Approx. 3 x 2 in. Fits snuggly in any purse or wallet. Please note: The bottom part of the tube of lipstick is now SILVER instead of pink.